We pulled up to the red clapboard house at 177 Stacey Road in Malone, NY, very much unlike the way its early inhabitants had. We were in an SUV, rented on Manhattan’s Upper West Side; James and Angeline Wilder, who made the house their home from 1840 to 1875, would have been in one of several horse-drawn carriages, depending on the weather and occasion. 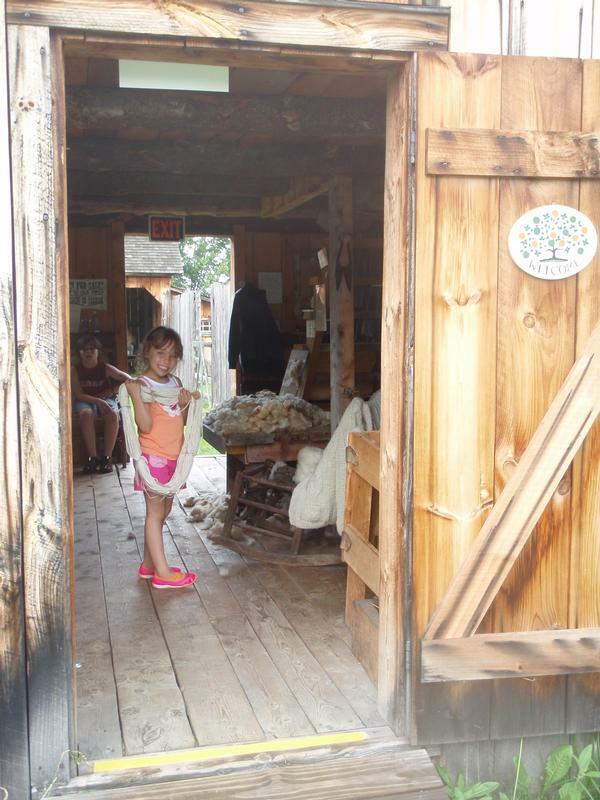 The gorgeous home and grounds that we had come to visit are now a museum, the Wilder Homestead, devoted to the life and times of Almanzo Wilder, quite famously known as the husband of Laura Ingalls Wilder, who wrote the “Little House” series. In the book Farmer Boy, Laura chronicled Almanzo’s boyhood in rich and loving detail, and to read it is to appreciate a life lived very much outdoors. It is also to become obsessed with the idea of going to Malone, as happened with our seven-year-old daughter, Halina, who’s read all the books many times over—and has inspired her parents to do the same. After months of planning, we finally walked on the very earth that Almanzo had poured his heart and soul into: helping Father till the fields in late fall; fill the ice house with enough massive bricks of frozen lake to last through summer (a truly incredible feat without electricity, when you stop and think about it); plant in springtime, and of course harvest from dawn to dusk in summer. All of this in addition to helping tend to the sheep, chickens, pigs, cows, calves, and Almanzo’s most beloved and admired horses. 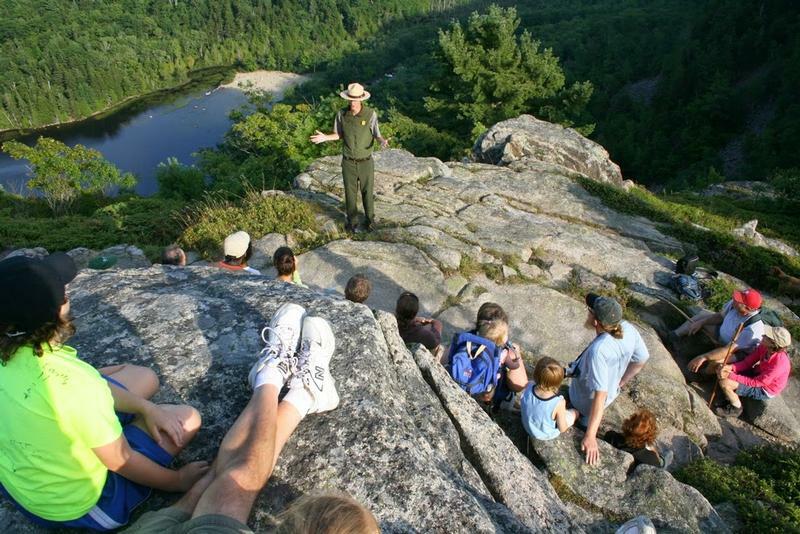 Meanwhile, he also found time to plain enjoy the outdoors: sledding, fishing, goofing off in the fields, and yearning to be doing any of those things during interminably long Sunday afternoons that he was required to spend sitting with family in the parlor room. Our car had barely come to a halt when Halina hopped out and started to climb over the split-rail fence that lines the plush lawn. But she was getting well ahead of the story that the site’s curators had carefully crafted and meticulously documented. The tour begins with appreciation to Dorothy Belle Smith, a distant relative of Almanzo’s who, in the 1980s, founded the Almanzo and Laura Ingalls Wilder Association that was responsible for the restoration of the home and property. The Wilder’s is the only original house, in its original location, as written about in the nine-book series—and that is saying something, as the Ingalls family lived in many dwellings, including a cave dug into hillock, during their epic westward move across the plains states. James and Angeline purchased the 88-acre farm from her brother, George Day, and sold it outside the family when they moved to Minnesota. 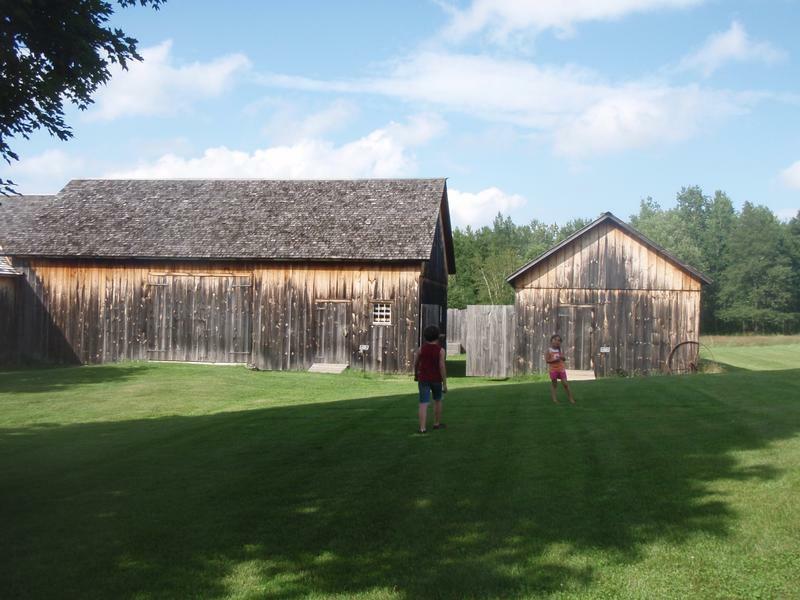 The barns, pump house, and chicken coop are all reconstructed on the original foundations and to specifications that Almanzo outlined to Laura when she began writing Farmer Boy some 50 years after Almanzo had moved away. Plans are afoot to build a replica ice house, which would be terrific. Halina’s enthusiasm for, and understanding of, all things Almanzo was matched only by that of our marvelous guide, Katelyn Pierce, a local high school student who will someday be a terrific journalist. Thousands of artifacts fill the house and outbuildings—from a wheat thresher and potato sorter, to a candle-wick trimmer and a wedding dress— and Katelyn was profoundly knowledgeable about which were from the Wilder's time period exactly, which were off by a few decades, and why. 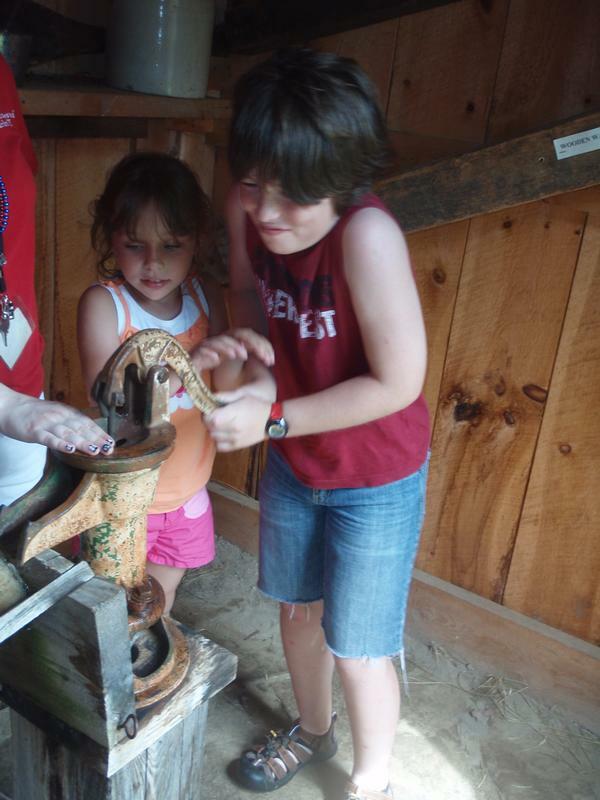 In addition to seeing and learning about the many objects, Halina and her brother Riley, who is 10, were able to pump water the old-fashioned way (harder than you might think!) and try their hand at carding mounds of wool using big wire brushes. It is no understatement to say that the Wilder family got all of their food and most of their clothing from the earth and animals they tended. The house itself is the last stop on the tour and well worth the wait. In it, you can see the very room where Almanzo was most likely born; the splotch on the parlor room wall attributed to the time when Almanzo hurled a shoe polish brush in frustration; the bed in the kitchen where the school teacher, shoe cobbler, tin man, and other traveling guests would have stayed; the narrow staircase that Almanzo would have taken every night to bed; the attic where dried meats and vegetables where stored for the winter; and a period-piece loom like the one Mother would have used to make cloth for clothes and barter. Given all the tilling, planting, and pulling of crops that Almanzo and his family went through, we were surprised to see a thick forest—rather than fields—behind the barns. 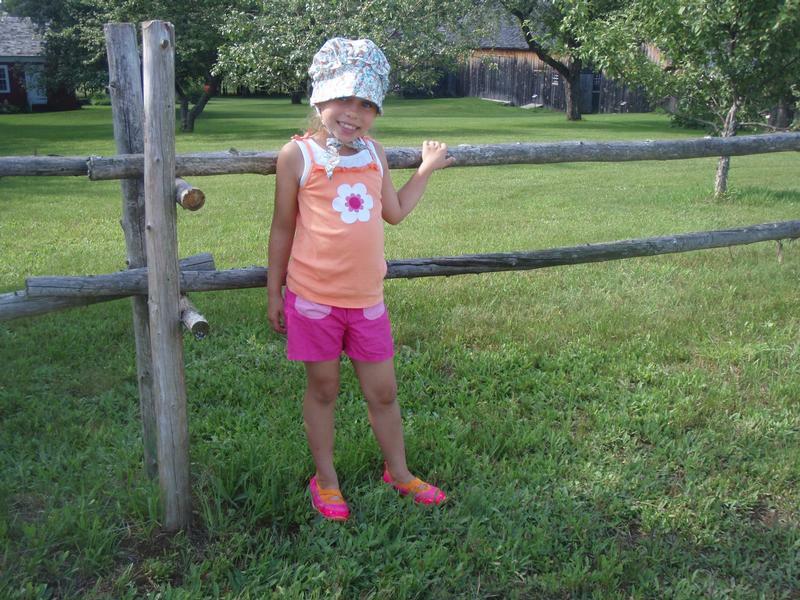 This is “nature taking its course” after farm culture moved elsewhere, Katelyn explained. (Paradoxically, the “big woods” in Wisconsin where Laura grew up, chronicled in Little House in the Big Woods, is now farmland.) The Wilder Association maintains a garden on the side of the house, and the front lawn is home to some apple trees and a massive sugar maple tree that dates back 200 years. 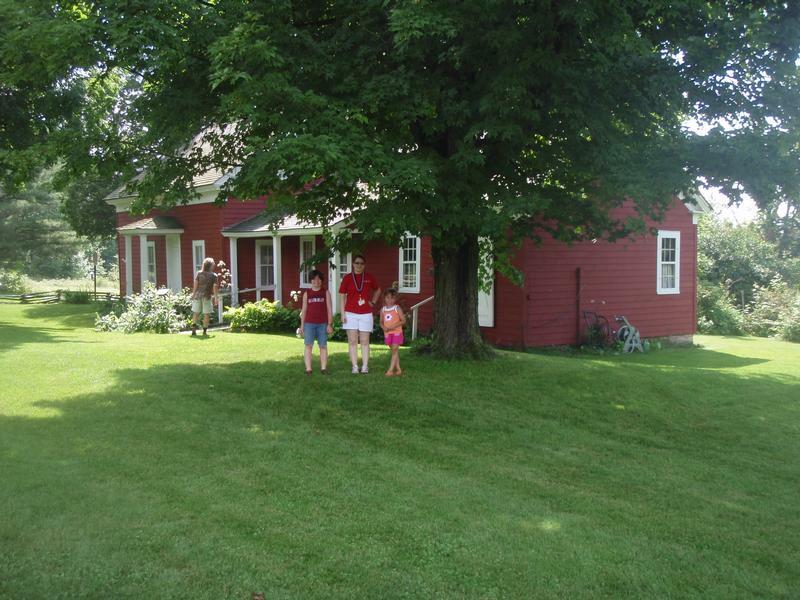 We visited the Almanzo Wilder Homestead on a greater trip in northern New York State this summer, but it would be amazing during foliage or spring. (Check the website or call for visiting hours.) We also wanted to explore Malone itself, so we stayed at the Holiday Inn Express and Suites on Route 11 and could hardly pull Riley and Halina out of the indoor pool for dinner, bedtime, and ultimately to leave town! From Malone, go northeast on US-11, toward Burke, for about 2.5 miles. Turn on County Route 23 and take a right onto Donohue Road. At the T intersection with Stacy Road, turn right. The Wilder Homestead is about a half mile on the left. You can’t miss it. Mercifully, the well-stocked gift shop at the Wilder Homestead had a cookbook for all the succulent-sounding foods described in the Little House books. (To read Farmer Boy is also to hunger for home cooking!) The gift shop building also has a back room that is packed with archival documents, photographs, and more artifacts from the era; visiting it is almost a trip unto itself. 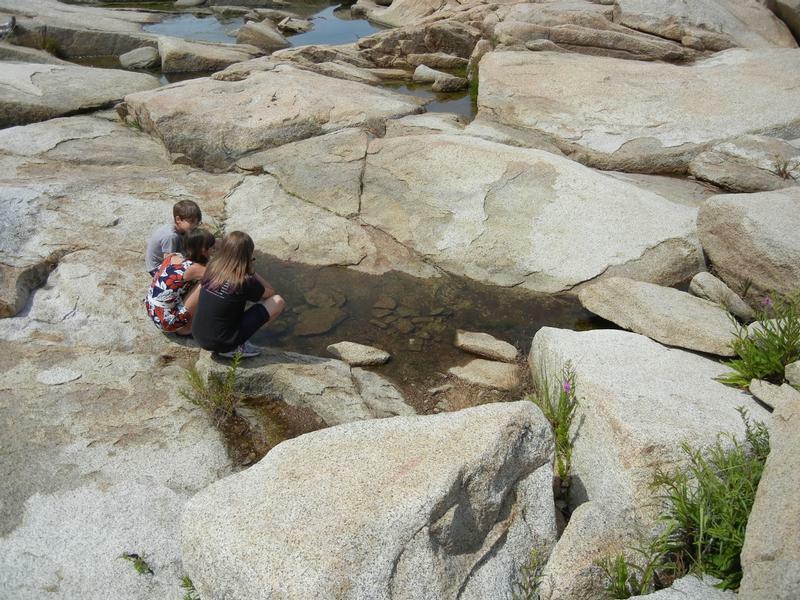 For budding young marine biologists, or even just animal or ocean lovers, tidal pools offer oodles of opportunity for exploration.